Huntsville and Madison, Alabama are two towns that are full of surprises. We landed there with expectations of red soil, endless forests draped in kudzu, and southern home cooking. While we found those things in abundance, we also found so much more. During our visit, we drove past new, sleek, state-of-the-art office parks on our way to lunch at a low-slung roadside BBQ shack. The towns of Huntsville and Madison are definitely on the rise. It feels like this is their moment to reinvent themselves and position their region as a modern, relevant voice on the national stage. It’s a very diverse place. In addition to its beautiful Alabama country scenery, Huntsville and Madison have a stylish, affluent, vibrant culture due to the influence of NASA and other renowned engineering companies who pull their talent from all over the world. When a team begins the naming and logo process, it’s important that the press, social media, and the team website have a logo that they can temporarily use. That’s where the placeholder logo comes into play. Utilizing this temporary marketing tool, teams can begin gathering email addresses, sell sponsorships and season tickets, and execute a Name the Team contest. The name Trash Pandas perfectly embodies the dichotomy of the region. A place with a contemporary, optimistic, fresh energy that retains its country flavor. We wanted to present the Trash Panda racoon as the clever, intelligent creature that it is. It was important to show that this character was less of a “banjos on the porch” type figure and more of a “this guy engineered a rocket ship out of NASA’s trash” kind of critter. We loved the idea that the raccoons have their own rocket engineering facility in the woods, next door to their human engineering counterparts. In their dwelling, the raccoons use the human’s discarded rocket junk to construct their own version of NASA (or RASA - Raccoon Aeronautics and Space Administration). Since this is going to be the premier entertainment destination for the region, it was vital that the brand be able to shoulder that important role. We wanted the final brand design to feel patriotic, optimistic, and, most importantly, fun. Our first goal is always to come up with a name and design a logo that the community will feel a connection to. But the degree to which the Rocket City community embraced the name and the brand has exceeded all expectations. 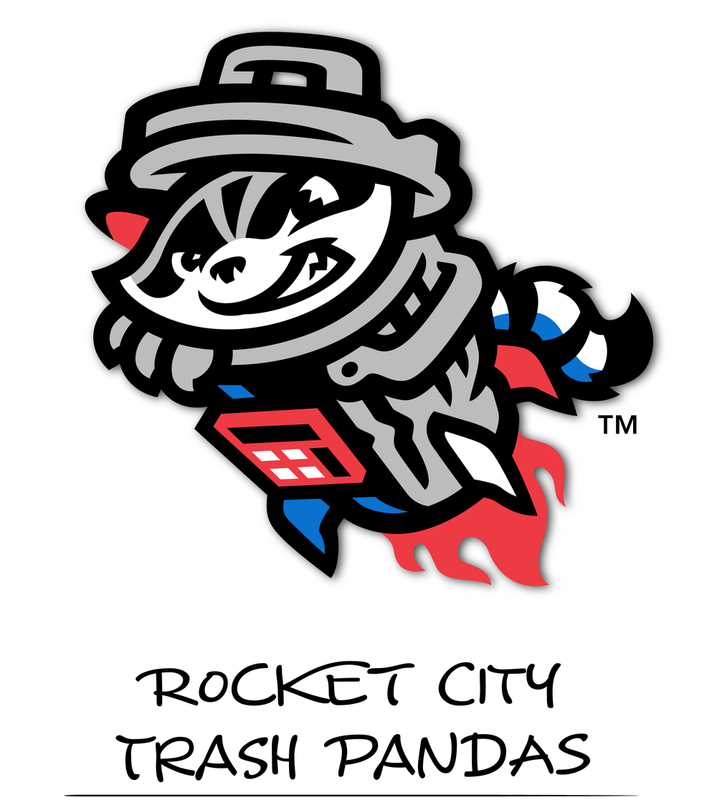 The Trash Pandas have shattered national merchandising records and they haven’t yet played a single inning of baseball! If a professional sports team or a major university builds a new stadium, it was probably designed by Populous. Because we had about 18 months from the time the name and brand was unveiled to the time that gates are unlocked for Opening Day, we had the chance to fly to Kansas City and spend the day brainstorming ballpark fan experience ideas with Populous, the architects of the Trash Pandas’ state-of-the-art stadium. 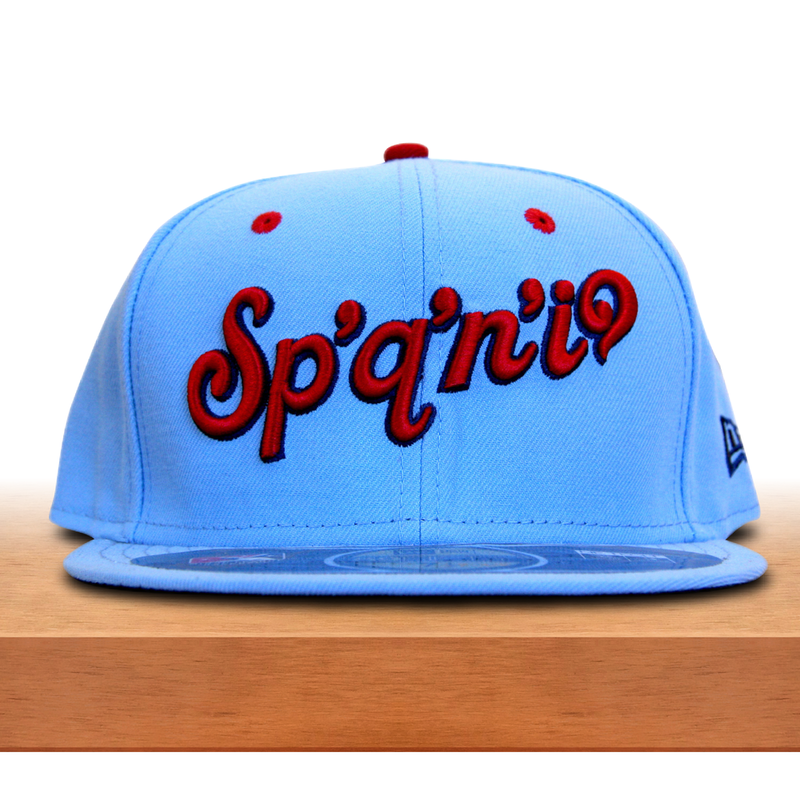 A great name and a fun brand can attract attention from all corners of the media, not just Sports Center. We knew that the Trash Pandas name would have legs nationally. There was a vibrant sub-Reddit community passionately posting about the furry critters, and everyone who heard the name had a smile on their face. Nevertheless, we had no idea that the name would resonate around the world and even end up as fodder for late night TV monologues! Below, watch James Corden revel in the fun that is the Trash Pandas name on The Late Late Show.